ANCA Glendale Members at the Annual Christmas Party. 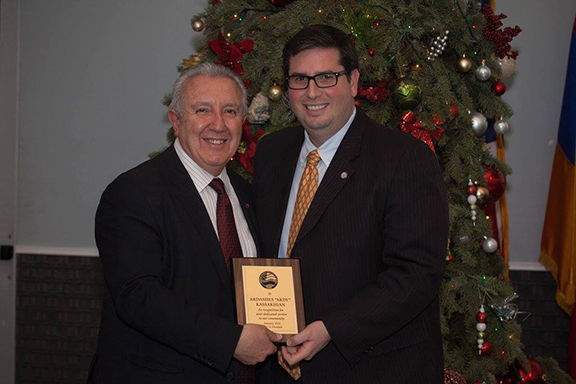 Glendale City Clerk Ardy Kassakhian being honored for years of dedication and civil service to the community. 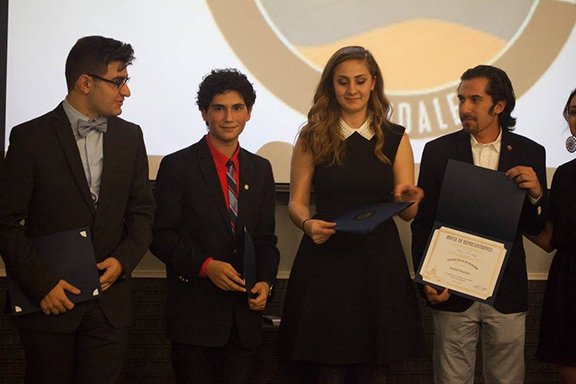 ANCA Glendale interns getting honored for their work. 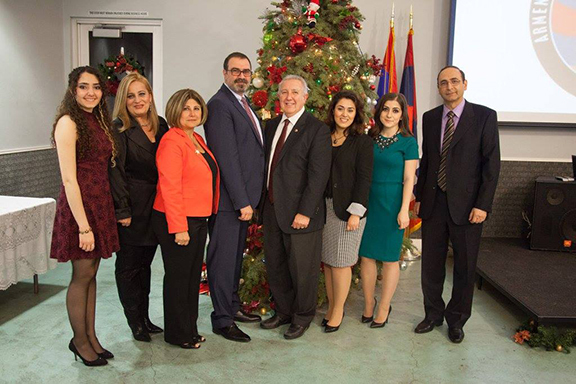 GLENDALE — The Armenian National Committee of America, Glendale Chapter (ANCA-Glendale) hosted their annual “Armenian Christmas Party” event on January 13th at the Karamanoukian Glendale Youth Center. The event, which resulted in a capacity crowd, saw over 150 community members in attendance. Representatives and staff from US Congressman Schiff’s office, Glendale City Council, Glendale City Management, Glendale Unified School District, Glendale Community College Board of Trustees, and various community organizations all came together to celebrate. “We have very significant objectives and goals to achieve in the coming year. There is a tremendous amount of responsibility and work to be done, but with the support we enjoy from all those in attendance, we feel confident that we will build on our success and learn from our setbacks and hopefully build an organization that is more productive, active, relevant and engaged and one that you can depend on and be proud of in the coming 2016 year” stated ANCA Glendale Chairman Zareh Adjemian. The evening’s program included welcoming remarks on behalf of the ANCA Glendale Board. Honorees throughout the night included ANCA Glendale Interns for their work and exceptional development throughout the year, Glendale City Clerk Ardy Kassakhian for his years of dedication to the community and civil service and Ascencia for their relentless dedication to ending homelessness within the city of Glendale.